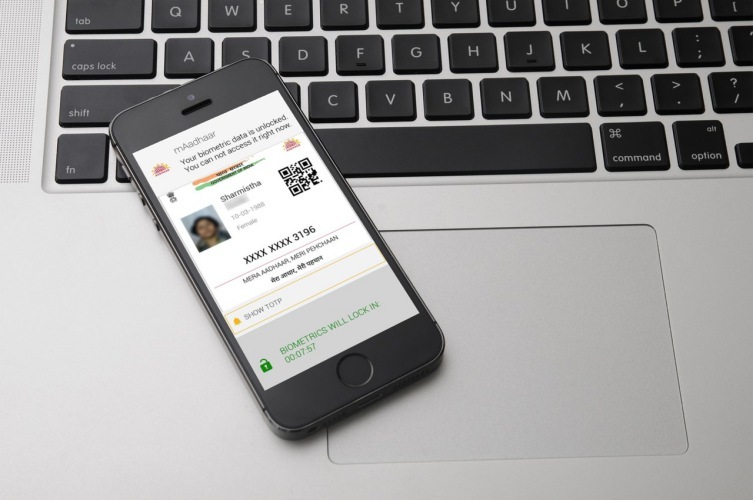 mAadhaar, as the name implies, is the official mobile app that allows Aadhaar card holders to carry along their personal info in a digitized form at all times. It eliminates the need for lugging around the physical copy of the Aadhaar card but only seems to come in handy to Android users. However, this drought for iOS users is expected to end very soon. UIDAI, the body responsible for issuing Aadhaar cards to all Indian residents, just recently conducted a Twitter AMA session on the occasion of Data Privacy Day (i.e January 28). It was during this session that UIDAI chief Ajay Bhushan Pandey replied affirmatively to the plans of rolling out the mAadhaar iOS app soon. He did not shed any light on the release timeline for the app. In addition to bringing all your personal details to your smartphone, the mAadhaar app is also loaded with important security features which can prevent the misuse of your national ID, especially at the current point where the UIDAI database has been reported to be mishandled and breached more than a few times. Once you’ve installed the mAadhaar app, you can either lock or unlock your biometric data depending on the frequency of your use. It will remain locked until you need to use it. This has been paired with TOTP (Time-based One Time Password) that kills your dependency on SMS-based OTP. You can even use the mAadhaar app to update any of your personal details on the fly. And to further the privacy of your oh-so-important Aadhaar credentials, the UIDAI has just recently debuted temporary 16-digit Virtual ID to replace the original 12-digit one. And it’s also been concluded that facial recognition will add another layer of security to the same. Now, it has become increasingly necessary for the government to put more safety check in place to safeguard our private information. Else, the nation will lose trust in this national ID system sooner or later. so, are you excited for the release of the mAadhaar iOS app? Let us know your views in the comments below.